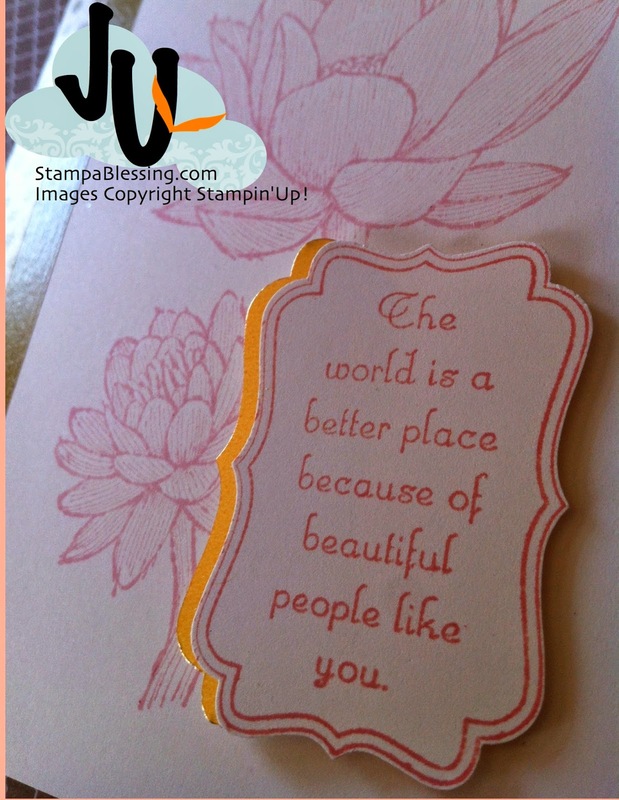 Stamp a Blessing: Ideas for Mom with Stampin'Up! Hope you are all having a beautiful week getting ready to celebrate our moms. I've been occupied with much, mainly my best enterprise ever, my home. So let me just share a few ideas for Mother's Day or other moments when you simply want others to feel loved and appreciated. 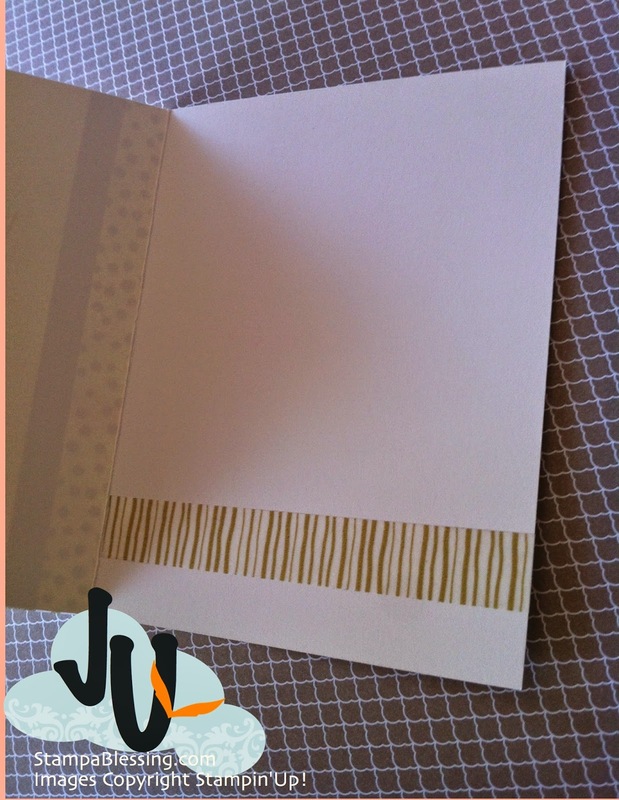 In this card I stamped it on Very Vanilla using Blushing Bride (pink) ink and accent it with Gold Foil which and the gold washi tape Stampin'Up! brought in the Occasions Catalog. Close up the Decorative Label Punch, I punched a second layer to place under out of the Gold Foil. 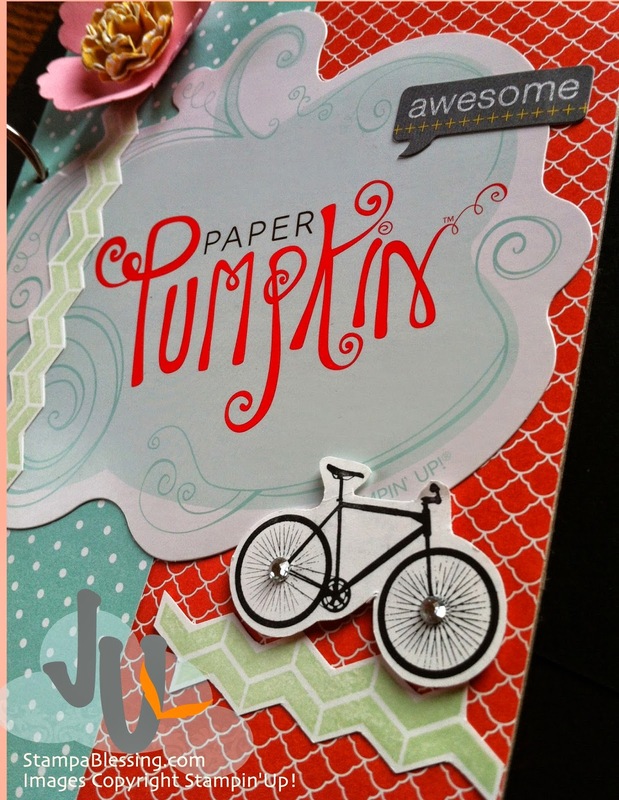 Such a versatile Specialty Paper. 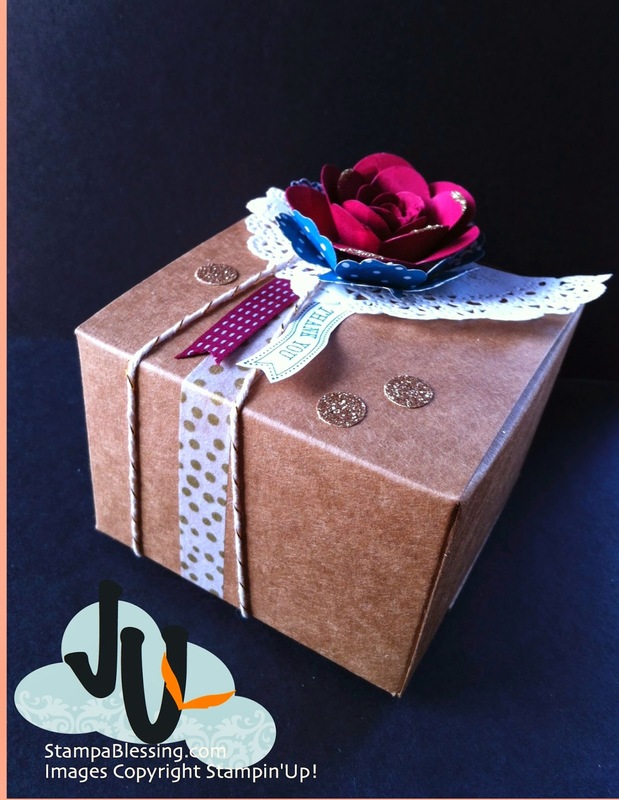 This is a box I created a few weeks ago for a sweet occasion. 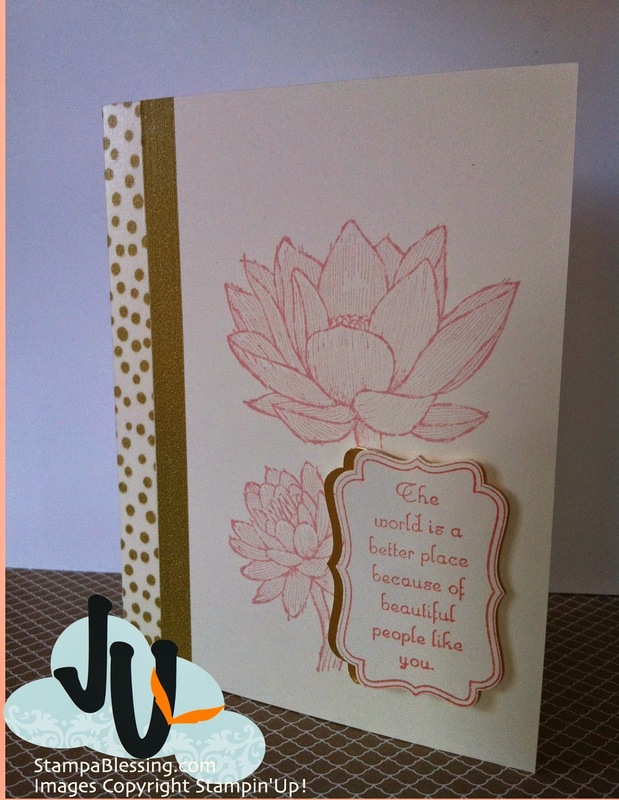 I used one of the Stampin'Up! 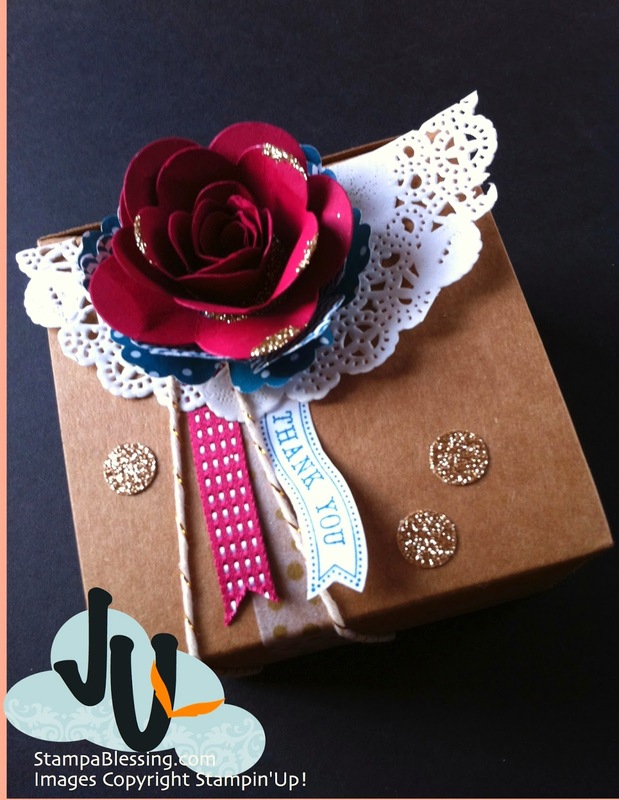 Kraft Boxes and embellished it with Stampin'Up! goodies. 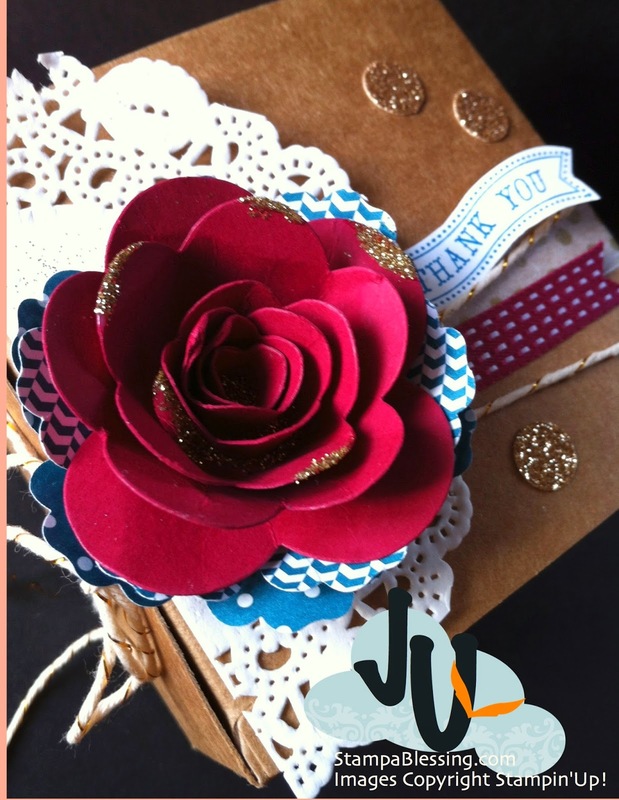 The flower is the Spiral Flower Die in Razzleberry Ripple. One of my fave In-Colors, is leaving this month. Under it I place a Blossom Flower Punch in Pacific Blue…I liked the contrast. Gold Bakers Twine and Gold Glitter with Tombow MultiAdhesive Glue (my favorite adhesive!). Wondering what are you all creating these days. Days are going too quick, pace yourself. Tell those you love you love them and enjoy life more abundantly. God is in a good mood always. 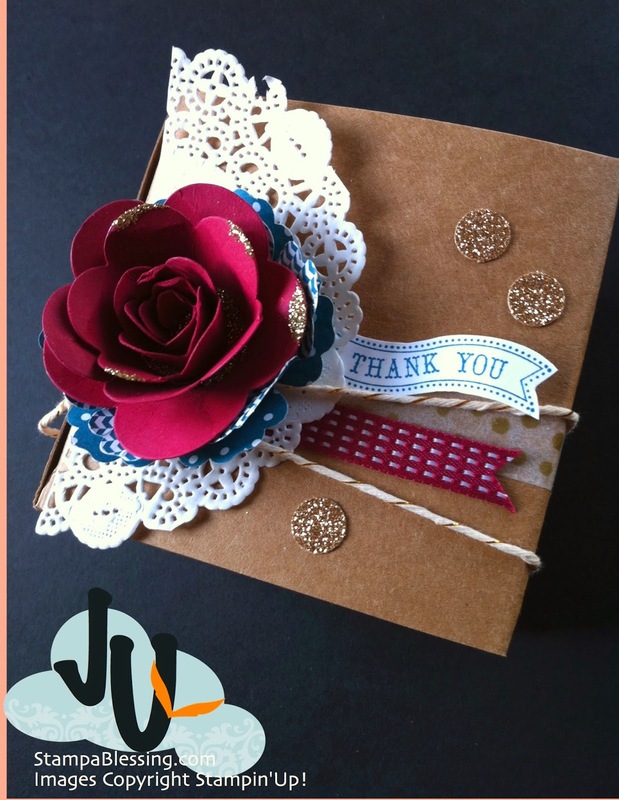 Check all My Events Here and RSVP quick for my May 24th Coffee & Cards, is filling up so quick and I am so excited to show you such wonderful projects we will be making! Yay! Email or give me a call. 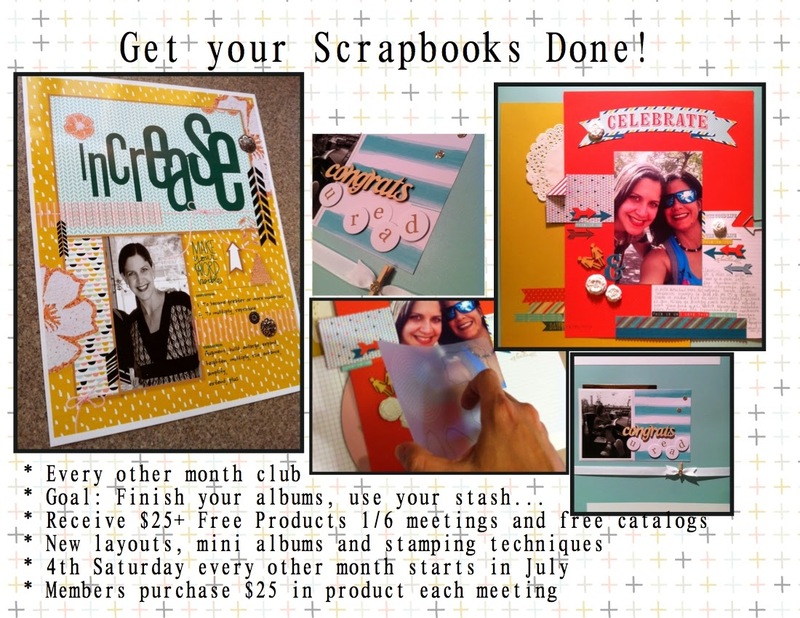 Visit my store to find all these wonderful materials HERE! Gracias amiga!!! Te quiero mucho! !